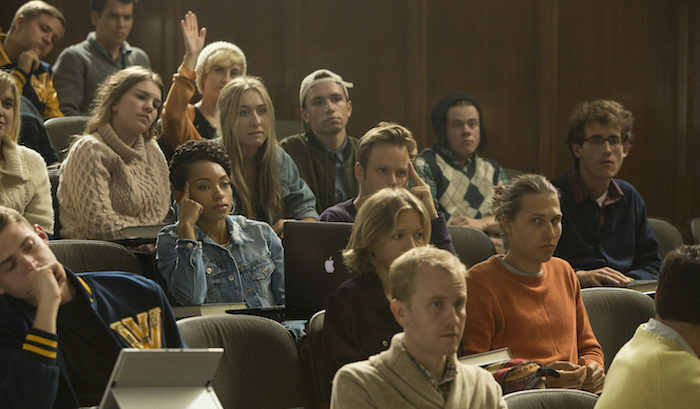 Netflix has renewed Dear White People for Season 2. The Netflix original series, which is created and executive produced by Justin Simien, is based on Simien’s own film, first released in 2014. Exploring post-racial America with satirical wit, the 10-episode first season follows Troy Fairbanks (Brandon P. Bell), the son of the dean of students, who is campaigning to become Winchester University’s first black student president. Navigating a predominantly white Ivy League college, where racial tensions are often swept under the rug, the series weaves a universal story about forging one’s own unique path among a diverse group of students, all held together by Samantha White (Logan Browning), whose titular radio show gives her a post in the campus’ political movement. Now, Netflix has confirmed that classic will officially soon be back in session, with Browning, P. Bell, Antoinette Robertson, DeRon Horton, John Patrick Amedori, Ashley Blaine Featherson and Marque Richardson all returning to reprise their roles. Yvette Lee Bowser will also return as showrunner, with Stephanie Allain and Julia Lebedev again executive-producing. Production on the sophomore run, which will span another 10 episodes, will begin later this year, with a 2018 release date. Any TV series that starts with a trigger warning immediately goes to the top of our watchlist – and Dear White People’s trailer doesn’t disappoint. 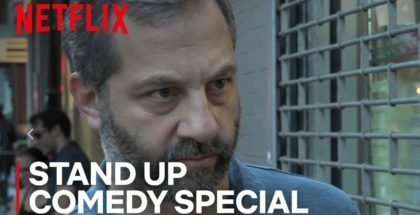 The Netflix series, inspired by the indie satire of the same name, is already proving provocative in the troll-filled realm of YouTube comments, as it picks up on the 2014 films’ themes and humour and explores post-racial America with satirical wit. Over 10 half-hour episodes, Justin Simien’s series (adapted from his own feature screenplay) follows Troy Fairbanks, the son of the dean of students, who is campaigning to become Winchester University’s first black student president. Navigating a predominantly white Ivy League college, where racial tensions are often swept under the rug, the series weaves a universal story about forging one’s own unique path among a diverse group of students, all held together by Samantha White (Logan Browning), whose titular radio show giving her a post in the campus’ political movement. The film is released on Netflix on Friday 28th April. Read on for the trailer – or, if you really want to get a flavour of the show, you can also see the original film on Netflix UK. Here’s our review of that. “Dear white people. Here’s a list of acceptable Halloween costumes…” That’s the sound of Netflix turning Justin Simien’s 2014 film film into a TV series. The comedy, inspired by the indie satire, will pick up on the 2014 film’s themes and humour and explore them over 10 30-minute episodes. It follows Troy Fairbanks, the son of the dean of students, who is campaigning to become Winchester University’s first black student president. Set among a diverse group of students as they navigate a predominantly white Ivy League college where racial tensions are often swept under the rug, the series is a send up of post-racial America that also weaves a universal story about forging one’s own unique path. Now, we have our first glimpse of the project, with Samantha White (Logan Browning) the star of the show in the trailer, her titular radio show giving her a post in the campus’ political movement. “A stunning reminder of how many minorities are still viewed in the eyes of the majority,” we said in our review of the film, which is available on Netflix UK. The show, which is written by Simien himself, will premiere on Friday 28th April. Netflix is lining up its main cast for Dear White People, the TV series based on Justin Simien’s 2014 film. Brandon P. Bell has already signed on to reprise his role as Fairbanks on the small screen, but now, Deadline reports that Netflix is lining up the rest of its main cast. Antoinette Robertson will play Coco Conners, “an economics major and bombshell who is baffled by Winchester’s hierarchy of blackness that favors natural hair over the “good hair” she bought”. John Patrick Amedori – who starred in NBC’s Aquarius – will play Gabe, the intellectual equal of Samantha White (Logan Browning), whose radio show (Dear White People) gives her a post in the campus’ political movement. DeRon Horton (soon to be seen in Netflix’s original film, Burning Sands) will play Lionel Higgins, a nerd who becomes a hero for being the only student journalist to write a report on the blackface party. Ashley Blaine Featherson wil play Joelle Brooks, who can code switch at lightning speed and is Sam’s best friend. Marque Richardson has also signed on to reprise his role of Reggie from the film. He’s a computer science major and Sam’s right hand man. The series, which is produced by Lionsgate (Orange Is the New Black) and written by Simien, begins filming this month for a 2017 debut. Brandon P. Bell will reprise his role from Dear White People for Netflix’s TV adaptation of the film. Bell played Troy Fairbanks in the 2014 indie, created by Justin Simien. He will return with Simien for the streaming series based on the feature, which follows Fairbanks, the son of the dean of students, who is campaigning to become Winchester University’s first black student president. Logan Browning has also joined the cast as Samantha White, who Deadline describe as “a biracial film major at an Ivy League school whose radio show Dear White People lands her a spot in a campus political movement”. Simien is writing the series, which is produced by Lionsgate, and will direct the first of the 10 episodes. Netflix has ordered a series based on the movie Dear White People. The comedy, inspired by writer/director/producer Justin Simien’s Sundance award-winning indie satire will pick up on the 2014 film’s themes and humour and explore them over 10 30-minute episodes. Set among a diverse group of students of color as they navigate a predominantly white Ivy League college where racial tensions are often swept under the rug, the series is a send up of post-racial America that also weaves a universal story about forging one’s own unique path. The show will be written by Simien (Dear White People), who will also direct the first episode. Devon Shepard (House of Lies, Weeds), Stephanie Allain Bray (Hustle & Flow, Dear White People) and Julia Lebedev (The Dinner, Dear White People) serve as executive producers. The series will be produced by Lionsgate, whose sister company Roadside Attractions released the original film in 2014. 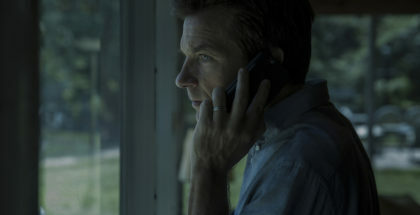 The project marks Lionsgate’s second original series for Netflix, following Orange Is The New Black, which returns for its fourth season on 16th June. The programme will go into production later this year and will premiere on Netflix around the world in 2017.